What’s the ‘real deal’ on the Internet of Things? The ‘Internet of Things’ buzzword appears to have picked up steam during the past several months as large players such as GE and Cisco have touted their stories on the growing number of connected devices. But, as Alex Brisbourne of KORE asks, how different, if at all, is the Internet of Things when compared with other connected device markets, such as machine-to-machine (M2M)? M2M Now talks to serial entrepreneur, Chris Lowery, founder and chairman of Wyless Group. With successes such as the development and sale of Interoute behind him, we ask what drove him to set up Wyless and how does he foresee M2M developing in the next few years? The energy companies are about to experience a massive data influx due to the roll-out of smart meters. M2M Now’s deputy editor, Georgina Elrington, sat down with Miguel Mendes, director of utilities market at WeDo Technologies, to find out about harmonising the integral sources and platforms responsible for revenue. The Internet of Things (IoT), connected devices and big data are buzzwords in the energy industry. Words that scare. What to do, when to do and how to do? As Kajsa Lilius of Maingate says, the amount of data generated today is enormous and there is a strong need for guidance across the digital landscape. In June, headlines around the world touted the European Commission’s adoption of two proposals that will ensure all European vehicles are equipped with emergency calling technology by October 2015. 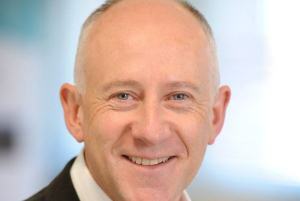 Here, Bertrand Knopf of Gemalto M2M looks at the implications for M2M. Utility companies can engage with customers better and explore new revenue streams by utilising the smart grid. However, while the infrastructure is an enabler, energy companies are still seeking the most profitable business cases. M2M Now spoke to Olaf Vieselmann at Orga Systems to find out how the company is helping the sector to address new and complex billing challenges. There’s some evidence that the machine-to machine communications (M2M) market is now maturing after years of under-performing against expectations. But, from an end user’s perspective, services can still seem fragmented. So, M2M Now editor, Jeremy Cowan met Kfir Dan-Ari of Amdocs in London to ask how services can be improved.